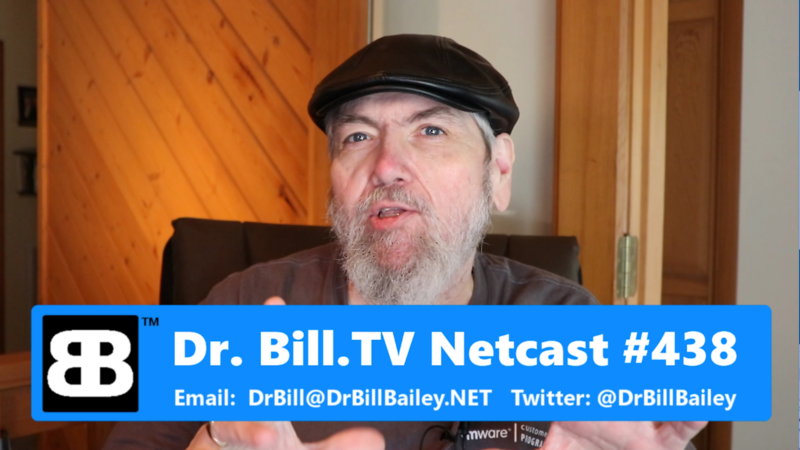 Geek Software of the Week: Uniform Server, the new Dr. Bill Bailey.NET NETcasts Roku channel is on the way, Chromecast outage ends, SD cards with 128TB of storage, TaoTronics TT-BH07 wireless earbuds, Linux Mint 19 is released, new Google game platform. Google Game Platform in the Works? Over the past few months, the wildest rumors in video game industry circles haven’t involved the PlayStation 5 or Xbox Two. The most interesting chatter has centered on a tech company that’s been quietly making moves to tackle video games in a big way: Google, the conglomerate that operates our email, our internet browsers, and much more. We haven’t heard many specifics about Google’s video game plans, but what we have heard is that it’s a three-pronged approach: 1) Some sort of streaming platform, 2) some sort of hardware, and 3) an attempt to bring game developers under the Google umbrella, whether through aggressive recruiting or even major acquisitions. That’s the word from five people who have either been briefed on Google’s plans or heard about them secondhand. Cracking the gaming market is hard. Over the past few decades, only two companies succeeded in entering the gaming market: first Sony, then Microsoft. Virtually all other attempts either flopped hard, or started lukewarm only to quickly peter out. Hence, I have a lot of reservations about Google’s supposed plans here, especially since they seem to involve streaming. Even streaming on my local LAN using PS4 Remote Play, while passable, is clearly not even remotely as good as the “real thing”. 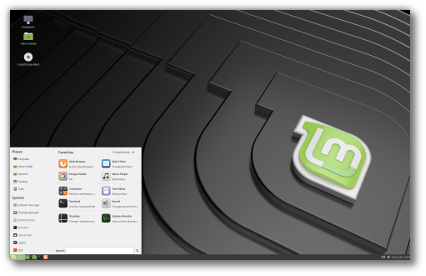 Linux Mint 19 “Tara” MATE released! These things rock! They are so light and small, but the sound is awesome! Best little deal I have bought in a while! You gotta get these! Built-in magnets let you attach the two headphones together when you are not using them, and you can wear them like a necklace around your neck, a convenient way to carry them around when you aren’t using them. 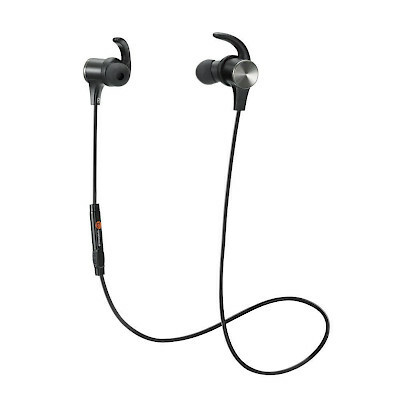 Comfortable in-ear design, fits snuggly and securely, makes sure the headset stays put and your music stays smooth when you are running, cycling, exercising and doing other activities. 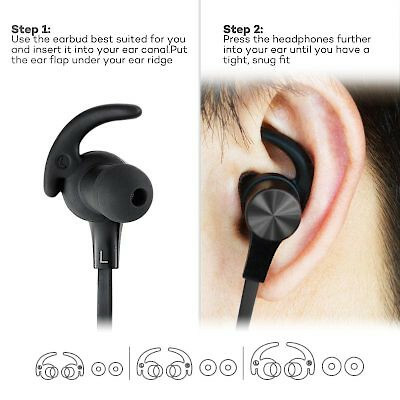 CVC Noise Cancellation 6.0 technology reduces outside noises, and enables clearer microphone sound when talking to your family or friends; you get a high quality, hands-free phone conversation even on the street or inside the shopping mall. Latest Bluetooth 4.2 technology; for easy and fast pairing with smartphones, tablets and other Bluetooth enabled music devices; the aptX codec provides pure, CD-like high quality sound for compatible devices. Works with all smartphones, tablets and other Bluetooth-enabled music players. Up to six hours of continuous talking / music time and up to 175 hours of standby with a single charge, so you have to spend less time charging and more time using it! A 128 TB SD Card?! Would YOU want a 128 TB SD card? Not 128 GB, or 128 MB, but Terabyte! Dewd! Gimme! The Verge – By: Dani Deahl – “The SD Association has announced a new card specification that should increase maximum storage on SD cards to 128 terabytes and provide much faster data transfer speeds of 985 megabytes per second. Right now the maximum storage space on an SD card is 2TB, and that limit was promised as far back as 2009, but still hasn’t been reached. In 2016, SanDisk unveiled a prototype 1 terabyte SD card that would make it the biggest in the world, but it’s still not available to purchase. At the time, SanDisk said that the advancement was necessary to match ever-increasing data-heavy formats like 4K video and VR. However, creating SD cards with massive amounts of storage is cost-prohibitive. SanDisk’s 512GB SD card used to cost $800, and though it’s dropped in price, is still priced around $300. 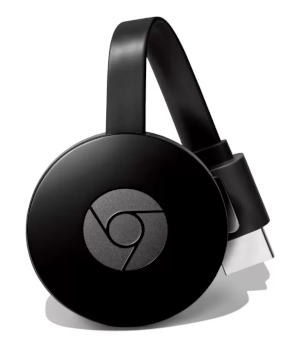 If you are having problems streaming to your Chromecast, here’s the fix. SlashGear – By: Brittany A. Roston – “As we reported earlier today, many Google Home and Chromecast users experienced an outage today that left them unable to use their devices. Google Home smart speakers warned impacted users that ‘there was a glitch,’ advising them to try again. When the user tried again, though, the same issue surfaced. Chromecast devices, meanwhile, failed to stream content to displays. In the grand scheme of things, a smart speaker outage isn’t the end of the world. That said, many device owners were frustrated this morning to discover their routines disrupted and their connected items useless…without manual interaction, at least. Users were quick to complain to Google, which had advised users to reboot their devices. That didn’t work, though. 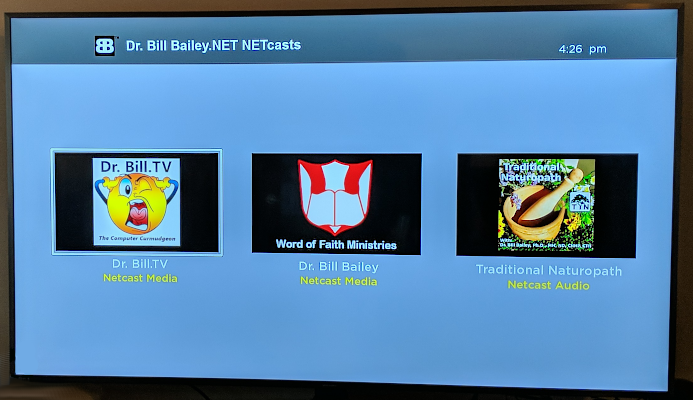 Perhaps more frustrating was the Chromecast outage, which resulted in these streaming devices failing to stream content to displays. That was a problem for businesses and schools that utilize the devices for presentations. Fortunately, Google hasn’t left users hanging; an update is rolling out now. Google announced the fix on its Made by Google Twitter account this afternoon, where it said that the fix is automatically deploying to devices ‘within the next six hours.’ That was at about 3PM ET, for reference, meaning everyone should have it within the near future. However, Google says owners can get an ‘immediate fix’ by rebooting their devices. 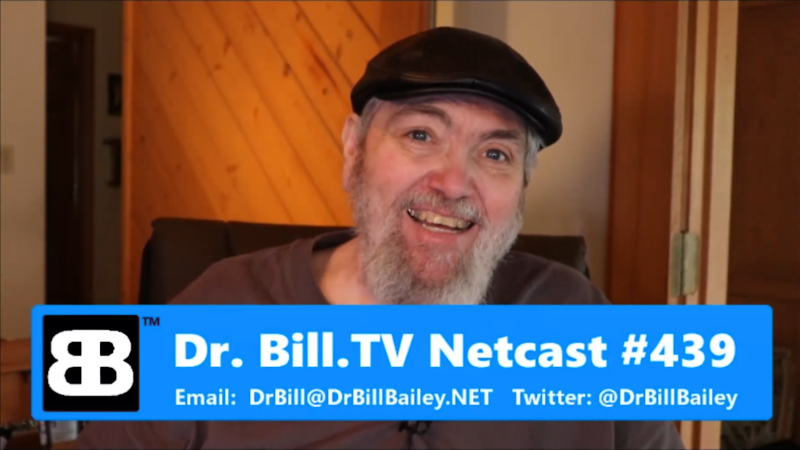 The New Dr. Bill Bailey.NET NETcasts Roku Channel! It is officially coming soon! 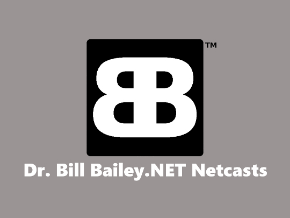 Development has been wrapped up, and it has been submitted to Roku for final approval. It replaces the old “purple” screen themed version, and is much more modern and simple. Here is a shot of the main screen off my HDTV in the Living Room. Geek Software of the Week: Uniform Server! 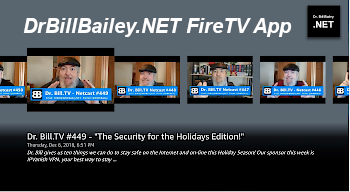 It is not often that I want to write a Geek Software of the Week review right up front, at the beginning of the show. But as I prepared for this week’s show, I discovered that this was the biggest thing that I’ve been looking at all week long! The Uniform Server is a WAMP server that is very small, and very solid! 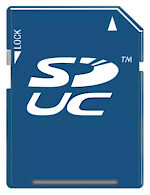 The key features for Uniform Server are: comprehensive security… all applications are set to the highest security setting, assuming a live production server, it is “mobile”… meaning it can run right off of a USB stick, there’s no installation, or reliance on a Windows registry; updates are rolled out with the latest release of each application and component of Uniform Server. Settings can easily be changed to manage the server and logs are available preset both for access and error logs. And, there’s a great help and support community via a forum on their website. Previously to this I had been using an Open Source project called WAMPserver, and had found it adequate, however, it was a bit hard to use, and could be a little picky. 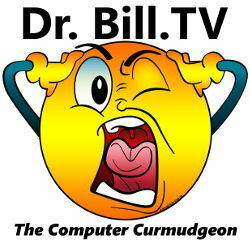 I also found that as they updated the editions of the software that made up the server, certain incompatibility issues crept in on some of my PHP applications. I can’t say yet as to whether Uniform Server will solve these issues, as I’ve not yet used it over a long period of time, as I did with WAMPserver. However, I have high expectations based on my use of Uniform Server so far. 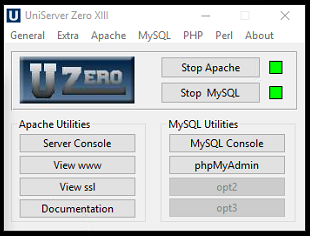 I’m really impressed with an application that allows me to run Apache, MySQL and PHP on a Windows platform as easily as this does! I’m looking forward to a long and productive use of Uniform Server in my production environment! If you have a need to run an application suite like this under Windows, I can highly recommend Uniform Server!